Bharathomes, based in Delhi Ncr (India), is one of the leading companies in the real estate industry, renowned for its excellence and reliability. We are offering our exceptional Real Estate Consultancy to the clients, to assist them with their realty concerns and issues. Keeping the best interest of the clients in mind, we provide them the suitable assistance and guidance so that they get the most profitable and beneficial deals. We have with us, highly experienced and proficient employees, who guide the clients and enable them to get them the best possible deals. Real estate sector can be profitable for investments, but it is also volatile so one must be careful and conversant in the industry to reap its benefits. Our highly skilled employees are well versed in the real estate sector and they help the clients in getting the most profitable and beneficial deals possible. Bharathomes, based in Delhi Ncr (India), is a renowned company in the real estate industry, well known for its exceptional Property Management Services. We provide reliable services for the clients who require their properties to be maintained, while they are out of the country or they have properties in other states. We provide efficient services for Residential Property, Industrial Property, and Commercial Property, Leasing services and Farm House. We provide comprehensive services to the clients with their property related management issues and also take care of the maintenance, security, bill payments, etc. 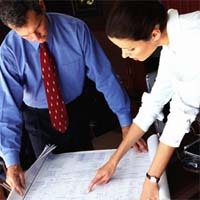 of the properties of the clients timely. We have always been appreciated for our reliable services.